"Rich, Beautiful and Mine" was originally written by Mrs.Torrance and recorded for the album "I'm the Bird" in January 1996. The Rheostatics started playing a version of this song, using the chorus but adding their own completely different verses. They named this version "Sweet, Rich, Beautiful and Mine". Upon hearing this, Tamara reworked her song lyrically so the songs became two views of the same situation. The Rheostatics' song appears on the album "The Blue Hysteria". 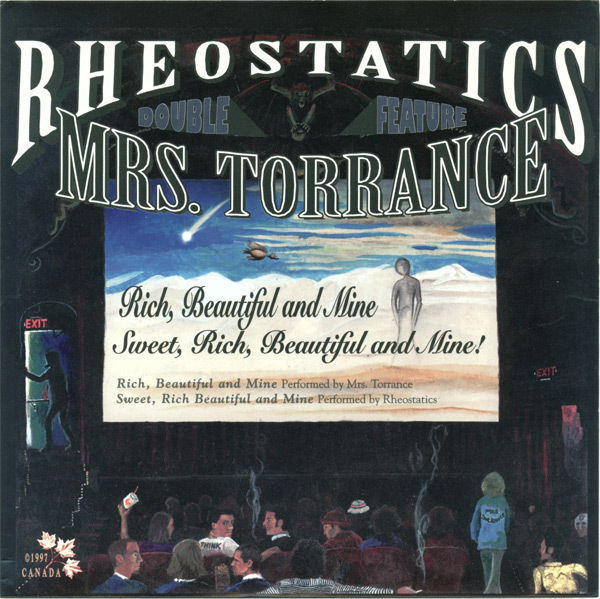 Martin Tielli (of the Rheos') adds guitar to the Mrs.Torrance recording and Tamara Williamson (of Mrs.Torrance) sings on the Rheostatics version. b. Sweet, Rich Beautiful and Mine!